Following a successful premiere at Volta NY in 2016, Arisohn + Murphy collaborated with Litvak Contemporary for their first presentation at Pulse Miami Beach. The installation exhibited new works by Itamar Freed, Elad Kopler, Peleg Dishon and Viclav Cigler. 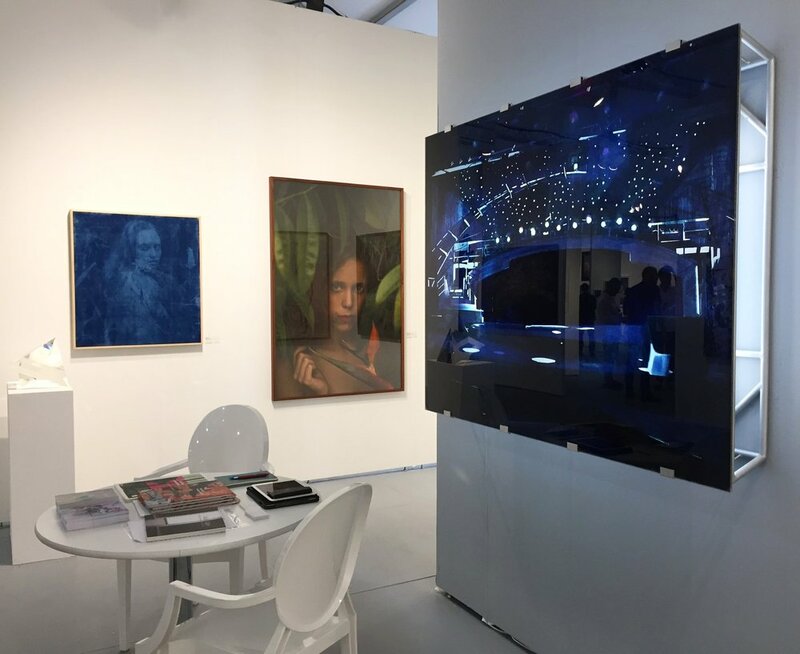 Leading up to the fair, Arisohn + Murphy's worked with Litvak Contemporary on all aspects of their presentation including: advisement on fair application, booth layout, paint color, artwork selection, press release copy editing, and vendor procurement. Our overall strategy focused on continuing conversations with previously engaged collectors, as well as a targeted outreach to local advisors and curators regarding Kopler's current solo exhibition at the Gutman Center in Tel Aviv and Freed's recent completion of a prestigious residency in Australia. We also provided guidance during the installation and onsite sales assistance for walk-ins, and created a post-fair task list with executable next steps to leverage the momentum gained during Pulse. The fair provided us with an opportunity to continue to work with Litvak Contemporary on building relationships with US and international collectors and curators in the states, with a focus on continuing strong sales and museum exhibition shows for their artists.